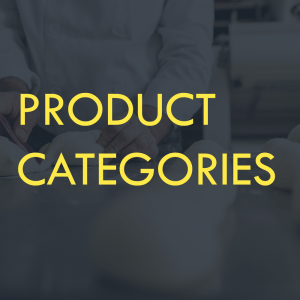 Tach-It has all major types of bag closing methods used in industrial, food, and bakery applications. As with all Tach-It products, our Bag Sealers and Impulse Sealers are made with the finest components for durable, trouble free operation. Tach-It manufacturer’s twist tie ribbons for all applications. Our extensive product line includes; standard twist tie ribbons in both plastic/plastic (our style #01-1500) and paper/plastic (our style #03-2500) for use on all manual, semi-automatic and fully automatic twist tie machines on the market today, Polycore our exclusive industry proven and accepted non-metallic twist tie ribbon, industrial twist tie ribbons in various width, materials, styles and wire gauges, decorative metallic twist tie ribbons which add an eye catching appeal to any product and cut to length twist ties in a variety of materials and colors. Having unique, adjustable height product loading arms, the Tach-It Model #3350A is perfect for most bakery items, tortillas, produce, magazines, newspapers, confectionery, garments, and industrial parts and hardware. Easy to adjust by simply loosening the thumb screws located on the outside of the arms, the operator has the ability to change the arms for the exact height of whatever he or she is packing. The Model #3350A is made of all metal components with stainless steel top plates, arms, and loading platen and has adjustable air velocity. Economical and easy to use bag sealing for most types of plastic and poly bags. Made of steel and hi-impact plastic. Creates a tamper evident – reusable bag seal. 3/8” x 180 Yd. roll bag sealing tape. Available in a variety of colors. 3/4” x 180 Yd. roll bag sealing tape. Available in a variety of colors. Used on Tach-It E9 and other large Capacity tape bag sealers in the market. 3/8” x 245 Ft. roll of paper liner. Used on Tach-It 3235. Offers and air tight and water tight economical seal to most types of plastic and poly bags. Easy to use.